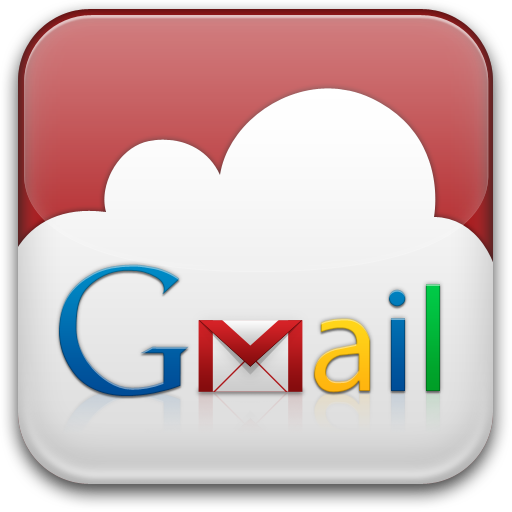 Open up your Gmail account and navigate to the bottom of the page. Now, you can see lists of last 10 IP addresses from where you or hacker had logged into your Gmail account(Previously only last 5 IP addresses were shown). IP address: An Internet Protocol address(IP address) is a number assigned to devices(PC) in computer networks like telephone number is assigned to every telephone. 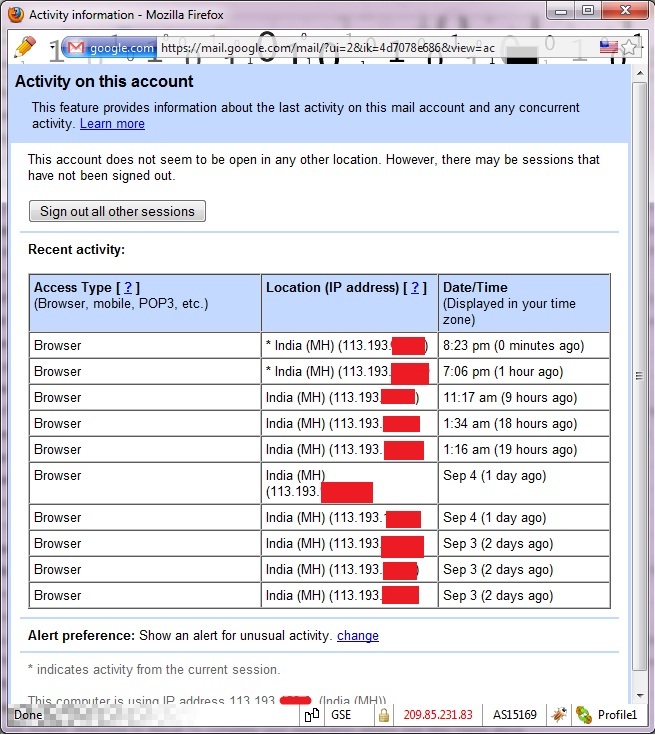 1st Column is Access type, if your are accessing your Gmail account from browser then you should see Browser in this column but if your Recent activity table is showing some POP access(Outlook, Thunderbird etc. ), it may be a sign that your account has been compromised. 2nd Column is Location, this column shows your IP addresses from where you have accessed your account. You can use this IP Locator website which will assist you in locating the geographical location of an IP Address. If one location is Pune and the other shows Chennai then someone else has accessed your account but if both shows same location then you need to know more information about this IP address. Open this whois website and enter the IP address. You will see lots of information like ISP name, address, contact number, email address etc which will help you to decide whether your account has been compromised or not. If your mail is currently being accessed from another location, you will see list of other session(s) in the Concurrent session information table. You can sign out all sessions other than your current session by clicking Sign out all other sessions and change your password if you think your account has been compromised. I was using gmail since 2006 but now only I realized this part.